With the 2016 MLB First-Year Player Draft less than a month away, the top of the first round still remains unclear. 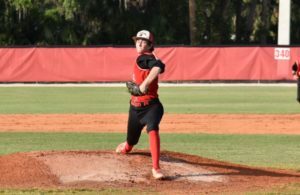 While this year’s class lacks an elite prospect, it is deep with high school pitching. 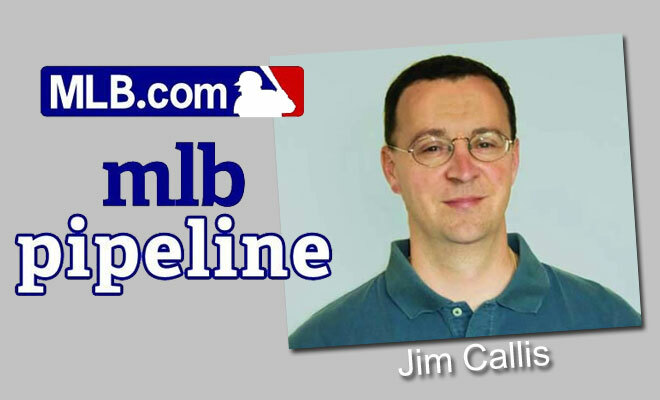 There is no one better to talk to about the MLB Draft than MLB.com’s Jim Callis, who has been covering the draft since 1988. 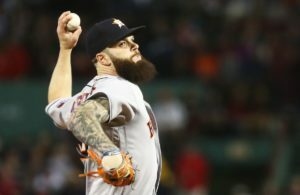 Dan Zielinski III: When we talked at the end of February you said this draft class was “alright,” how would you evaluate it now with less than a month until the MLB Draft? Jim Callis: I feel the same way. There’s not that classic guy that stands out at the top of the draft. I don’t feel teams at the top of the draft feel like this is the best year to be picking up there. At the same time, I think it is an exceptional group of high school pitching, which makes it an interesting draft to project. It’s not a great draft, but it’s not that much different than any other draft from this past decade than the 2011 draft that everyone thought right away was going to be pretty special. DZ: Prep left-handed pitcher Jason Groome was the favorite to go No. 1 overall in the preseason, why isn’t he the likely No. 1 pick by the Philadelphia Phillies now? JC: His stock hasn’t gone down. From a stuff standpoint, it has been really good every time guys have seen him. There are some maturity questions with him that teams are trying to figure out. I really think the biggest thing with him is the risk with taking a high school pitcher No. 1 overall or even early in the draft. There are a lot of these guys that end up getting hurt. I just think teams are skittish. I don’t think the Phillies or Reds picking No. 1 and 2 were every really in a spot of wanting to pick a high school guy. DZ: As of today, who do you see the Phillies selecting with the No. 1 overall pick? JC: Most people are feeling that the Phillies will select Florida lefty A.J. Puk. He’s had an inconsistent season. But, when he’s on he’s had a mid-90s fastball and wipeout slider. He doesn’t always command his stuff, and he doesn’t have a track record of dominating week after week like you think he’d might being a 6-foot-7 lefty with that kind of stuff. He has had some minor back issues this year. I think if he pitches well in his final start and in the SEC Tournament in front of a lot of scouts, it’s A.J. Puk. If he falters, the best bet is Mercer outfielder Kyle Lewis. I wouldn’t rule out prep outfielder Mickey Moniak. I don’t think he’ll be the guy, but he has a better chance than the average fan realizes. DZ: Who are some of the MLB Draft prospects with helium right now that could be selected higher than maybe expected? JC: This month we’ve had a number of guys make dramatic leaps from where they were ranked in the preseason. One guy who has a lot of helium is Matt Manning, a high school pitcher from California. It’s tough because you can make the case that seven of the top 15 prospects in this draft are high school pitchers and they aren’t all going to go that high because teams are skittish about taking them that high. Matt Manning doesn’t have a lot of mileage on his are because he’s a big time basketball player too. His father is a former NBA player so he has athletic bloodlines. For a 6-foot-6 kid he has good athleticism and body control. He has one of the better fastballs in this draft, along with a power curveball. A guy who was not ranked as high prior to this year was Miami’s Zack Collins. The jury is still out on him playing catcher, but he’s having a great year. He can hit. He has great power and draws walks. Another position player that might not go as high is prep outfielder Taylor Trammell, who is a star football player from Georgia and played baseball on the showcase circuit. I think he will go in the first round. Coming into the year he was more of a third-to-fifth round guy. 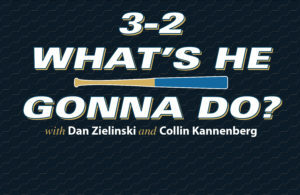 DZ: The Milwaukee Brewers hold the No. 5 overall pick, what are you hear in terms of who they are looking at and what direction they might go? JC: I’ve heard a lot more than five names. It obviously depends on who goes in front of them, but I’ve heard just about everything in their mix. I’ve heard prep shortstop Delvin Perez. I haven’t heard prep outfielders Mickey Moniak and Blake Rutherford among the high school position guys. 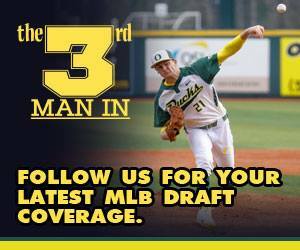 I’ve heard all three-college position players, Kyle Lewis, Nick Senzel and Corey Ray if they got there. I’ve heard prep pitchers Jason Groome and Riley Pint. I think all of those guys are there. If I had to guess today, my best bet would be Louisville outfielder Corey Ray. But, I don’t have a great feel for where Groome or Pint will go and possibly one of them could be there when they pick. Those guys could be tempting too.